Suitable for: Gas, Open Fire and Oven. In stock, delivery in 24/48 hours! 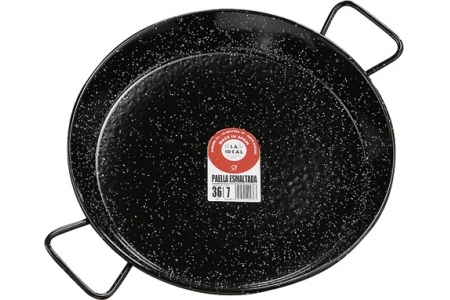 These "La Ideal" enamelled Paella Pans, from the classic Garcima brand are made of pure steel. The enamelled layer protects them and provides easy maintenance. 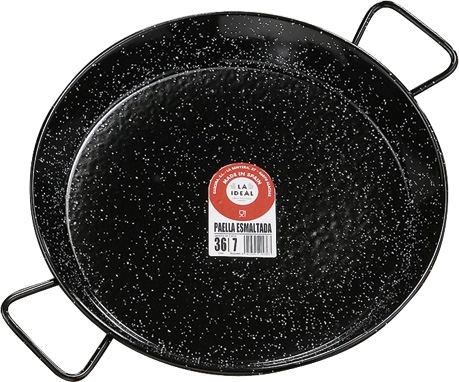 Same as the polished steel paella pans, it can be used with gas, open timber fire, or in the oven (but never in microwave oven). (Delivery costs vary depending on the size, weight and destination of the order. This will be calculated automatically at the checkout before to confirm an order).